In an attempt to provide the broadest possible range of positions on the hot issue about Bulgaria's participation in the European Stability Mechanism (ESM) and The Euro+ Pact, euinside presents the joint opinion of Vladimir Shopov and Dimitar Bechev. Vladimir Shopov is the founder and managing partner in the analytical unit Sophia Analytica, and Dimitar Bechev is Director of the Sofia office of the European Council on Foreign Relations. From the Bulgarian point of view the crisis in the euro area presents a risk of permanent establishment and institutionalisation of a “two-speed Europe”. This dynamic is real and it is clear to everyone who is following the dizzying processes in the EU in the past year. Europe has decided to respond to the financial problems that threaten the common currency with a new impetus towards integration. The current changes are framing the whole European politics for decades to come. Bulgaria cannot afford not to be as close as possible to the cores that are moving at utmost speed. The stake is simple: modernisation of our society, economy and state institutions. Yes, sometimes this is a costly occupation. Bulgaria is receiving not a few from the EU and that is why it has to give its mite, including to the forthcoming European Stability Mechanism. It is quite normal to question the price as a number of economic experts did recently. However, it is incorrect at the same time not to talk about the price of non-participation in the euro area and the accompanying policies. The price of Bulgaria's participation is not 6 billion euros and the public institutions are aware of that fact, but it is unclear why it is not announced. 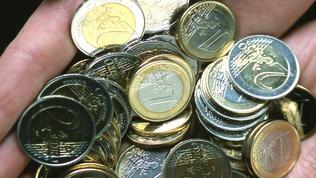 Bulgaria is expected to pay 300 million euros in five installments, moreover after 2013. In return the country receives a strong political argument why it should be a member of the eurozone. And this step is in public interest. To understand the importance of this step, just think about the beneficial effect of the lowering of the interest rates on the loans to the levels of those in Germany or France. The economist Georgi Ganev has recently calculated that the probable benefits of joining the common currency amounted to 15-22% of GDP within a 20-year period starting from accession. Honestly, no one can force us to join, but let us ask ourselves what we shall win while standing outside, without having an access even to the waiting room. The answer is: almost anything. The Bulgarian currency [lev] is pegged to the euro under the currency board, but without a full membership to the euro area we consume only the duties not the benefits. The price is not limited to the contribution to the fund [ESM] only. 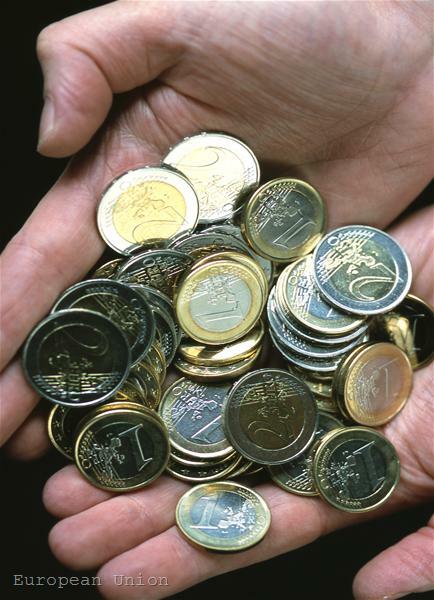 Our accession to the so-called Pact for the Euro is also a stage of the way we have to go. Yes, indeed, the Pact itself implicates some risks. There will be pressure in one form or another for harmonisation of taxes, there will be monitoring over the speed of income growth, which in Bulgaria is, as we know, at the lowest levels among the 27 Member States. But there will also be enough brakes. In its current form the Pact relies on national implementation programmes and is not legally binding. In other words, each country is able to reasonably defend the non-application or modification of any of the proposed measures. No country is bound to accept an unfavourable position. This is a political document and there are no penalties for non-compliance. In the framework of the Pact sufficient space is left for battle of ideas, positions and interpretations. It even contains an unexpected opportunity to block governmental plans for economic reforms by the opposition and citizens of the Member State itself. And let us say it clearly: the Pact is not a result of an anti-Bulgarian plot. Yes, it refers to general rules, specifying how to calculate the base for corporate taxation, but there are proposals to reduce tax burden on labour income. It also proposes the famous “debt brake” which would block the enthusiasm of politicians ever tempted to spend. There is a political commitment to completing the Single Market, which is beneficial for countries like Bulgaria. For example, in terms of the automatic recognition of professional qualifications in certain sectors by the other Member States. The Pact also raises the question of breaking the rigid model of communication with the trade unions, of creating a more flexible labour market, facilitating opportunities for entrepreneurship, reducing the endless early retirement programmes, investment in education, etc. The big conclusion is that, instead of isolating itself and of complaining, Bulgaria must simply begin to function as a real EU Member State and to strengthen its European diplomacy. In fact our main problem is our ability to use the possibilities and our attention should be increasingly focused on this direction. If there is work to be done, it is mainly in Sofia and then in Brussels. Bulgaria's behaviour in terms of the adoption of the ESM and the Pact for the Euro, however, illustrates the severe crisis of the current model of formation of our European policy. It is too bureaucratic and in practice it doesn’t involve the people who apply the European rules. The servile mentality continues to dominate and there is no understanding of the need for a radical change and opening of the process to society and business. The Council for European Affairs within the Council of Ministers is among the most opaque institutions and Bulgarian positions, presented in Brussels, remain a privileged knowledge for the officials. EU membership is still simply happening but it is not manageable. This is gradually becoming the most secure way one day to lose it. If this model doesn’t change, the eurosceptic voices will resonate stronger in our society. To date we often hear that Brussels was the new Kremlin. The debates are welcome as well as the critical reflection on policy decisions taken at EU level. But the populist discourse is extremely harmful. EU membership is not slavery in the name of obscure foreign interests, but a real chance for Bulgaria to become a “normal country”. It depends only on us whether we will use it. One of the best comments I´ve ever read to this theme.